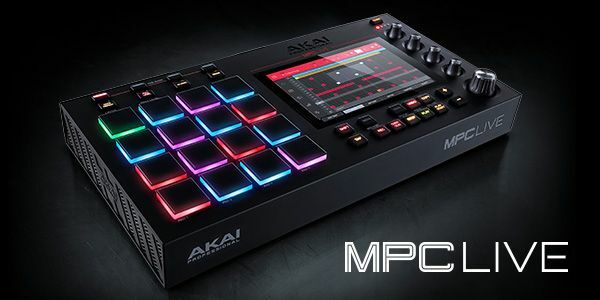 I've been messing with music production lately and also recently purchased an mpc live. Some musical background (played drums), and real basic music theory knowledge. I've generally been using samples to create melodies and hook. General workflow starts with finding a sample, then chopping it. Creating a beat, then recording the chops over it. The issue I can seem to grasp is finding new sounds to add. I just feel overwhelmed, and sometimes when I do find a good sound, I feel like I can find something better. Basically I'm never content. How do you guys/girls go about adding new sound to your music. I guess also how/what does your workflow consist of. Doesn't necessarily need to be MPC-based; just generally how you go about creating music. It’s really hard to not get distracted with never ending editing, I ruin a lot of tracks like that myself. I’ve been trying to keep it simple and move on to another beat when I find myself getting to fiddly with stuff. It really helps me to just keep it simple and come back later, and after ALOT of listens I add things as I see fit. I’m not the best to be giving advice on but it might Help. Cockdiesel wrote: I’ve been trying to keep it simple and move on to another beat when I find myself getting to fiddly with stuff. I keep saying this to myself too, but like you said, it's tough and I end up thinking too much about it. I guess I just need to keep training my brain to stop overthinking and keep it simple. welcome to the world of music.. I try to keep it short. I also but rarely try play different sounds from the keyboard I have and try to find a sound bank that fits usually never works out but if you do find something it ends up beefing up the beat quite a bit. trial and error, I try to find different parts of the sampled song or diffent chops from what I have mute the sample part I already have and try t find something then figure out how to transition it. I think a lot of people have the same problem you do. That's what makes it fin and challenging. saltmcgault wrote: welcome to the world of music.. I try to keep it short. I also but rarely try play different sounds from the keyboard I have and try to find a sound bank that fits usually never works out but if you do find something it ends up beefing up the beat quite a bit. trial and error, I try to find different parts of the sampled song or diffent chops from what I have mute the sample part I already have and try t find something then figure out how to transition it. I think a lot of people have the same problem you do. That's what makes it fin and challenging. You're right. Then I guess it's a good problem to have haha. That's how I look at it. I'm doing this for over 10 years now, but I never really finished a track I'm 100% confident with. I'm never satisfied, and at the same time that's the thing that thrives me, I get fueled by the little progression in every session I take. It's such a big world, don't expect to create game changing orchestrates when you enter the session, just look at it as a day in the gym. One day you will get where you want it to be but it will be a lot of sessions. When you are good at the melodies, I can tell you will have 100 other challenges that will keep you busy the next years . Don't rush it, enjoy it. If you're done with it, reboot it. Many times after a session I didn't even save it, I just took it as a lesson. Now I'm not much of a planner, but you can even set a specific theme to a session, like **** it I will get some reference in reggae songs and create a (attempt on) reggae today. Then look at the points that will bother you after hearing the tracks and go explore how to overcome these points, by learning all aspects you will be able to master the **** out of it on the long run. The worst thing to ever do is stopping it. if you can't find anything to add, then don't add anything. make what you have interesting with a good arrangement. or just delete the project and move on. don't save it for maybe coming back to later. what made a big difference in finishing tracks is using an op1. only one project on the machine. no saving sequences as midi, no undos. instead, there is a four track recorder to record audio to. whoohaaah wrote: How do you guys/girls go about adding new sound to your music. I guess also how/what does your workflow consist of. Doesn't necessarily need to be MPC-based; just generally how you go about creating music. Not a sampling workflow, but you could apply it by replacing "play" with "sample". 1. Pick a kit & play drum patterns until I stumble upon something I like. Record. 2. Pick a plugin & play bass line over drums until I stumble upon something I like. Record. 3. Use bass line to start fleshing out chords. Write chord progression in notes. Once that groove is down, ideas usually start coming to me. And I already have the chords. 4. Pick a plugin & I play rhythm/harmony parts until I stumble upon something I like. Record. Cover those & you're done. But unless your arrangement skills are superb, keep it simple; 2-3 of those 5 parts playing at once. In arrangement usually taking something out or muting tracks or sounds is better than adding something. Less is more. K-Mo' wrote: In arrangement usually taking something out or muting tracks or sounds is better than adding something. Less is more. FACTS .Most of the beats i ever ruined was by trying to force something that didn't belong there and not by it really missing something. 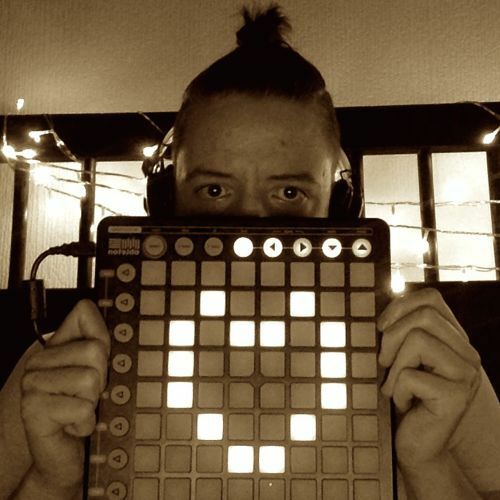 Generally I take my chops and arrange them as you do and layer over a quick beat to create a rhythm and then I'll play over it on the keyboard to create pads, basses, chords etc. It requires some theory knowledge, but not much. I'll share how I work. So, you've got your chops and your drum beat and they're on loop. Next you need to find the root key of the arrangement you have created. You could run it through some analyzer that tells you the key, but that's no fun and you learn nothing. To find the root key start hen pecking on your keyboard. The root key will be the key on the keyboard that sounds most pleasing to the ear in the context of the rest of the song. You should be able to press the root key continuously and it wont sound out of place against the rest of the song. It's best to load up a piano for this, something that cuts through and is audible. Make a note of the root key on paper. You can use tools to do this for you but that's no fun and you learn very little. Once you have found the root key you can then apply some basic techniques to figure out the scale of the track. A scale is just a bunch of keys that work well together. In western music it's mostly the major and minor scales that are used. Unless you're sampling Jazz, but the same thing applies. Take your root note you found and add 2 semitones. This basically means move up the keyboard 2 keys. So if you start on a C, and you move up 2 semitones, you end up on D. Does that key sound good? If so, make a note of it. If not, move down a semitone, so if you're on D, move down to C#. Does that sound good? If so, make a note of it, if not, move up 3 semitones. This will put you on D#. One of those 3 will fit, unless you're making some crazy free form stuff. When you find a key that works, repeat. Move up a semitone, or 2 semitones. Keep testing for keys that sound good. Your ear will tell you what does and doesn't. Make a note of them on paper. When you've got your notes written out you should be able to determine the scale of the song. Remember also that just because your sample might start on C, this doesn't mean the key of the entire track is C (c major, or c minor for example). It just means that there is a C key in the scale. I could write a book on this and get real deep. I do run a blog so I might blog it. Once you've found the scale you have all the keys you need to work with. Just play around. Things get deep when it comes to functional harmony, but one thing you can do is create a chord progression for your melody. Let's say the melody you create over your arrangement is for examples sake: C, F, G ... you can use that to make a chord progression. Take the C note, move up 4 semitones to E, place a note. From the E move up 3 semitones to the G. Now you have a C major chord. Do the same with F, and G. To get a C minor chord instead of moving up 4 semitones after the C, move up 3 instead. This same pattern is used for any key you press on the keyboard. Let me know if you want an article. I'd probably have to break it down into a couple so readers grasp the basics but I don't mind writing one up. @JamesJeffery i'm definitely going to sit down and dissect this simple jack style and try it out next time I find something worthy of trying it on. thanks.